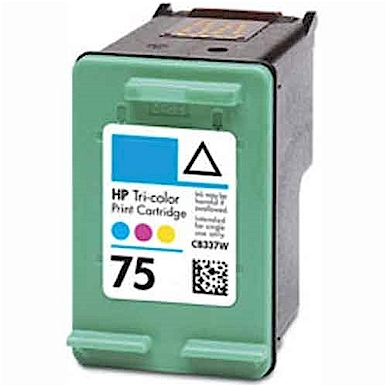 HP 75 - CB337WN - For use in HP DeskJet D4260, D4280, D4360. OfficeJet J5700 Series, J5725, J5730, J5735, J5738, J5740, J5750, J5780, J5783, J5785, J5788, J5790, J6400 Series, J6410, J6413, J6415, J6450, J6480. Page Yield: 170 @ 5% coverage. 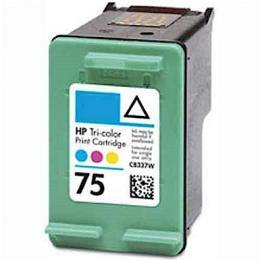 Search terms: hp 75, cb337wn, hp cb337wn, hp ink 75.